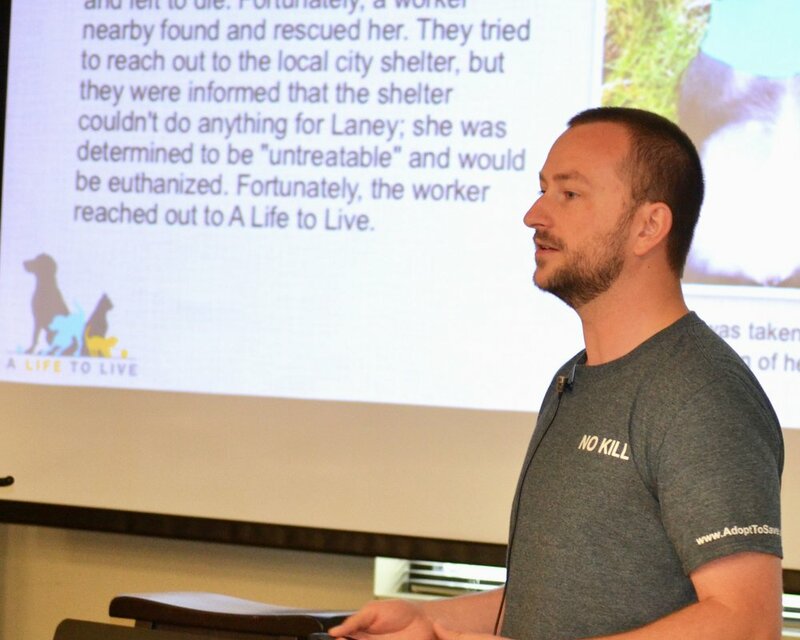 "Pursuing No Kill" is our active blog that highlights the work that we do as we continue to live out our no-kill mission to save the lives of homeless pets within our community! There is never a bad time to share A Life to Live’s story. In fact, engaging with the local community about our goals and programs is an important aspect of our no kill mission. 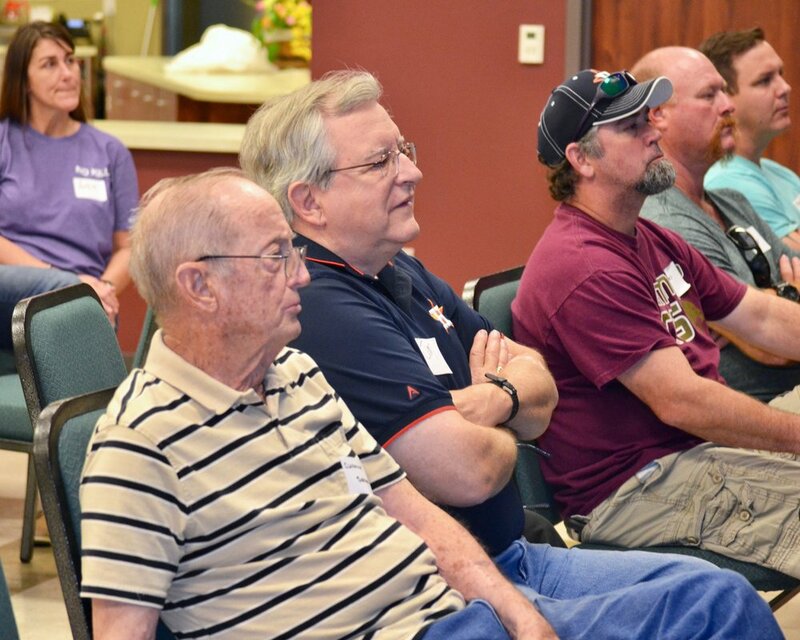 Our latest opportunity to do just that came on a recent Saturday morning at Faith Presbyterian Church in Baytown. We enjoyed breakfast with about 20 members of the men’s leadership group, including Reverend Dr. Jim Gill, the church’s pastor. That was followed by a presentation and discussion about A Life to Live. Angie Seaton-Stanley, our food bank coordinator and a member of the church, introduced Jay Garrett, founder and executive director of A Life to Live. 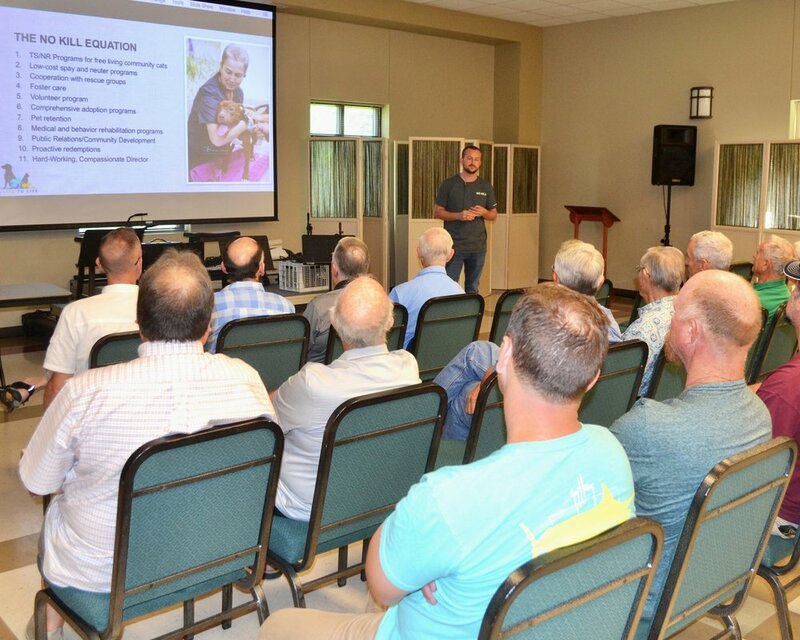 He gave a 30-minute presentation about the organization’s mission, history and community impact. • We’ve rescued more than 200 cats and dogs from an uncertain future. Most were scheduled to be euthanized at Baytown Animal Control, and the others were fending for their lives on the street. All of these animals are now safe in loving homes. • We’ve trapped, spayed/neutered and returned more than 35 community cats in Baytown, preventing 630 homeless births through our Good Felines program. This number is expected to double by the end of 2017 through grants from Best Friends Animal Society. • Our organization, which is 100 percent volunteer based, totaled more than 7,000 volunteer hours in 2016 to help save lives. • Through our Food Bank, which had a soft launch in 2016, we have donated more than 2,500 pounds of food to the public to help keep pets within the care of their homes. • We held a one-of-a-kind charitable 5K run and outdoor event in 2016, all for the benefit of homeless animals in our community. It brought together people, pets and businesses to save lives. Plans are well under way for the second annual event, which will be held Oct. 28 at Bicentennial Park in Baytown. • From incorporation, A Life to Live has operated with the goal of establishing Baytown’s first no kill shelter and adoption center to provide life-saving resources and programs for local pets and pet owners. We are in the planning stages of seeking facility opportunities. A brief question-and-answer session followed the presentation. And a pass-the-hat effort quickly raised more than $200 in donations for A Life to Live. 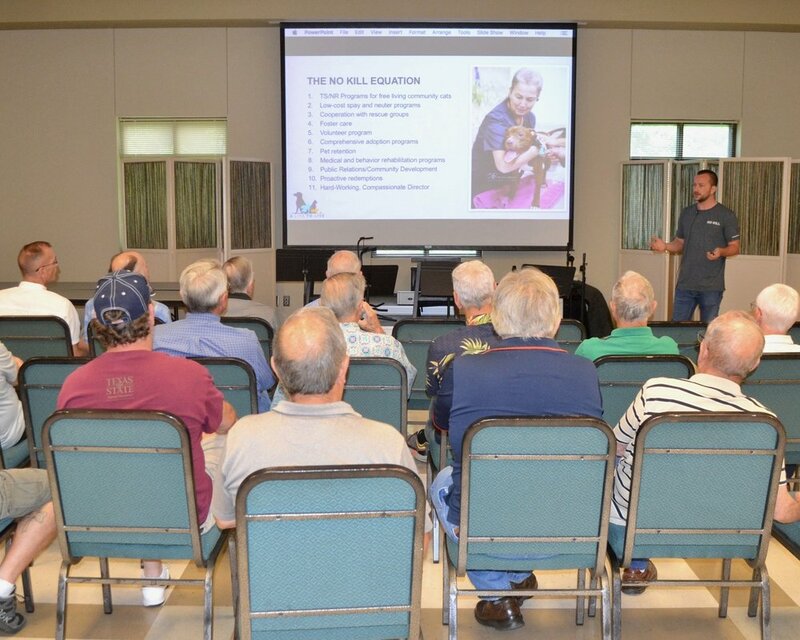 “When I moved to Baytown in 2011, one of my first questions was, ‘Is there a no kill shelter?’ I found out there wasn’t, but it’s something that I’m very passionate about,” said David Benard, a church member. Thanks to Faith Presbyterian Church and its men’s leadership group for inviting us to be part of their Saturday morning. We enjoyed sharing our story with others who support our cause. Written by David Berkowitz, public relations coordinator with A Life to Live.